I finally decided what sewing project to use these fabrics on. I am going to join Dana’s quilt along. Better late than never! I hesitated at first because I already have so many projects in the works, but it’s hard to resist starting a fun quilt along. 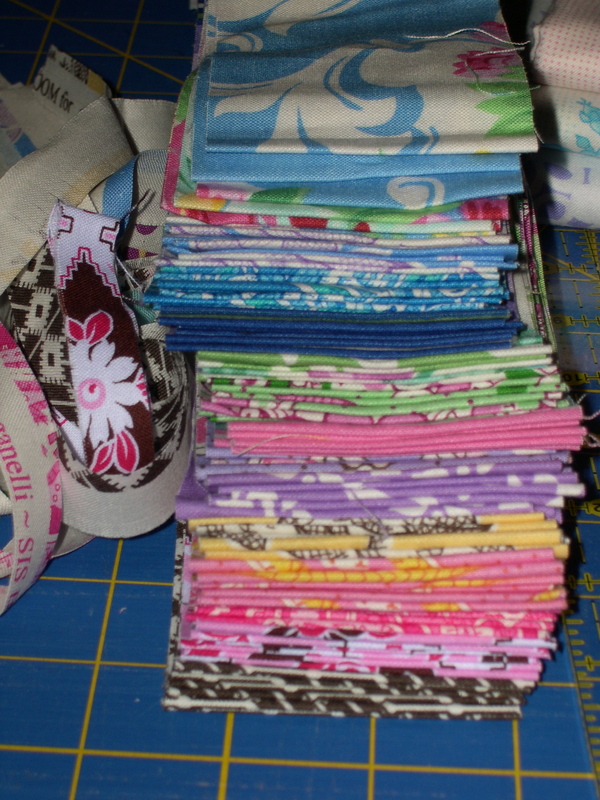 This stack, which has been in my stash for about a year now, is from the Mod Girls fabric collection from Jennifer Paganelli. I’m excited to be using it! I cut them into the required 2.5″ strips tonight. 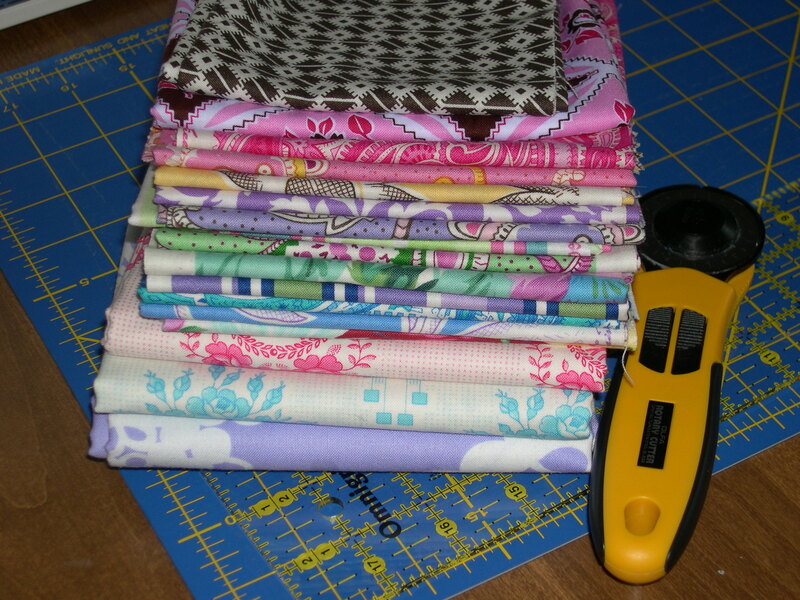 I’m not sure if I will have enough strips to make a large enough quilt so I am going to add some solid fabrics too. Now I just have to get caught up with to week three, which means piecing these strips into over 30 11.5″ blocks. It sounds like a lot of work but I know I can do it! Way to go! I haven’t blogged about it yet, but I decided to join, too. I just cut my strips today…pics coming in the next few days! Good luck as you piece the blocks. 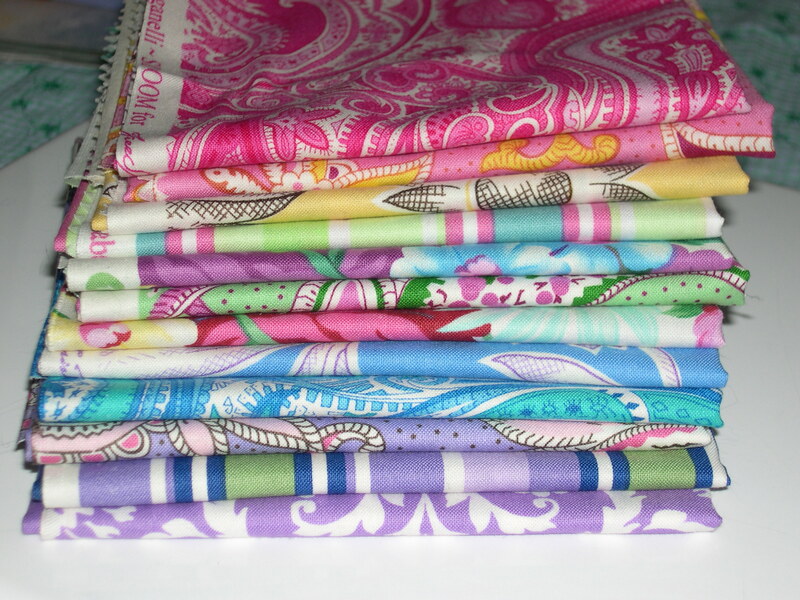 I think your fabrics will make a beautiful quilt! That’s great! I was digging through my stash last night trying to come up with 12 different matching fabrics to do the sew along myself! I love the fabrics you chose, I know you’ll have great fun doing it! Good luck! Those fabrics are going to be great for this quilt! I’m behind too…I haven’t even cut my strips!!! Next week I’ll get caught up! Way to go and i know you can do it! Love your selection of fabrics! Hope your having a lovely week and love to you! Nice fabrics, I just started sewing the strips together too! I don’t want to ruin the surprise, but congratulations on the QuiltHome.com gift certificate win! Yea!! You can do it! I just joined on Tuesday, and am having loads of fun! I have my strips all cut and have 4 sets of 6 strips sewed! Good luck! Can’t wait to see your fabrics sewn together-love them. I love those fabrics, can’t wait to see the quilt you make. Hey, me too! I hope to be caught up Monday. I love the JP fabrics. Because I love yours so much, I went and purchased some myself. I can’t wait to see our projects move along! Have a good weekend! Oh cool! LOVE your fabrics. I’ve loved watching all of your projects in progress, so I’m really looking forward to watching this one too!